Elisabeth Noelle-Neumann, the German political scientist contributes the famous model called “Spiral of Silence”. 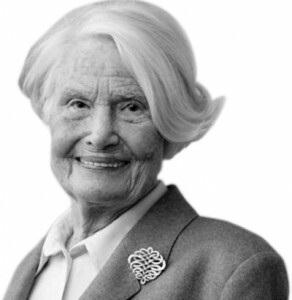 In 1947 Neumann and her husband found “Public Opinion Organization” in German and also she was a President of “World Association for Public Opinion Research” in 1978 to 1980. Through this Spiral of Silence theory Neumann indirectly explains the Jews status during World War II under Nazi’s control. Here, Adolf Hitler dominated the whole society and the minority Jews became silent due to the fear of isolation or separation. The one view dominated the public scene and others disappeared from the public awareness as it adherents became silent. In other words, the people fear of separation or isolation those around them, they tend to keep their attitudes to themselves when they think they are in the minority. This process is called “Spiral of Silence”. In a company, the managing director decides to increase their working hour from 8 to 10 and send e-mail to all employees. Majority of them accept this time changes and few employees are not satisfied with his decision. But they cannot or ready to express their thought publicly. 1. They may feel unsupported by the other employees. 3. “Fear of Rejection” By rejecting their personal opinion from the public will help to avoid fight. 4. They may try to save their job by suppressing or avoid personal statement in public. 1. Spiral of silence theory describe as a dynamic process, the predication about public opinion in mass media which gives more coverage for the majorities in the society and gives very less coverage for minorities. 2. In this social environment, People have fear of rejection to express their opinion or views and they known well what behaviors will make a better likelihood. It’s called “fear of Isolation”. 3. Being the part of Minority. People loss their confidence and silent or mute to express their views because of the fear of isolation or they feel alone or unsupported. 4. Sometimes the minorities withdraw their expressed opinion from public debates to secure themselves from the majority. 5. Maximum numbers get more vocal space in the society and lesser number become less vocal space or become silent. 1. Spiral of Silence theory has both micro level and macro level explanatory process. 2. It works well during the public campaign, Senate and Parliament. 3. Spiral of silence theory – which helps to raise question about considering the role and responsibility of media in the society. 4. The theory which is not considering the other explanation of silencing. In some cases the person may feel the majority’s ideas or opinion is much better than his own view. 5. It portrait overly negative view of media influence the average people. what circumstances force someone in the minority side to speak up? Today I don’t know if this theory holds up. I think that it is actually the majority that is silenced. After the terrible events on 9/11 we as a people have been forced to believe that the people in government (the minority) know what is best for us. The American people are afraid to speak out because they will be labeled anti American or traitors. (Social Isolation) Which is a real concern now with the passage of the National Homeland Defense Act. Which gives the government the right to arrest any U.S. citizen with out due process and hold them indefinitely if they are suspected of “Domestic Terrorism”. What I think will cause the majority to speak up is finally coming to the realization that when people have as much power as the people in political office do they are bound to use it for there own interest. Thank you for sharing this and all the excellent comments here. In discovering the spiral of silence, I have decided to stand up for Ron Paul in a community that is largely pro-Romney. I am not sure what will happen, but I refuse to go out silently. I think this theory not work when minority has power of media. I think this theory not work when minority has power of media specially they are opinion leader. You are right at his opinion but the time when spiral of silence model was intrduced or founded , at that time yhe jews were in minority………. I also think theory is working upside down. the majority have entrusted the minority to represent them. what is happening is the minority are creating fear and tension to the majority so as to get support from the majority. During 1900 – 1950 jews were consider as minority in all over the world. In german also they are minority but the settled very well and they were not shows any interest towards the poor german and nation. Again and again minority jews can able hold the top position. Germans are became refuges in their own country and poverty kills many. Hitler take this issue as a propaganda and killed jews. That’s why the theory works upside down. Conflict between poor and rich rather than majority and minority. am realy supporting Elizebath in this theory.if at all you have any opinion or idea which you think after giving it out will leave you to look like afool please keep it for yourself because you willbe isolated and get thorough embarasement in the public.but if you think that you are in line with majority please dear go ahead . yes, in the developing country, you’ll find many aspects to become majority and minority samples, such as ideology/religion, in Asia, especially south east asia, the majority and minority become a problem..
And this theory has explained it, thanks..
Actually, if you read the theory, it isn’t based on actual minority or majority, it is based on perceived minority. Thanks to Elisabeth Noelle Neumann for her efforts to come up with the Spiral of silence theory because it is indeed true in as far as public opinion formation is concerned. I think it is important to understand that it is true that human beings fear isolation and will do what it takes to make sure that they gain acceptance and not neglected since we are not solitary animals and that is why St. Augustin said thayt man is by nature a social animal. owing to the world of today nobody will keep quiet due to fear of issolation but its better to die and leave the other generation in peace. this model will not work while minority people have the media in society. they will express their views by their own media. This theory is appropriate now a days also.Not only in the society..but it is applicable in the family also.when majority decides something minority is forced to support them.if they dont,then they have to argue..n basically people doesnt like to argue…. I can’t see the previous comments, so I’m not sure if someone’s mentioned this before. Your overview of Noelle-Neumann’s theory is good. However, it wasn’t the Jews in Nazi Germany that felt the need to be silent in this theory – it was the Germans that didn’t buy Hitler’s rhetoric. The Jews (and other “undesirables”) would be sent to camps and/or executed whether they were silent or not. Your run-of-the mill Germans would have every incentive to go with the flow and not put themselves out as disagreeing with the Nazi regime. Minority are still an existing opinion that need be exposed, all you need is power and encouragement to oppose your thoughts. Indeed that was a great theory but though even up now,the majority have a say and the minority have no say at all.